The Washington Redskins officially introduced Jay Gruden as the franchise’s 28th head coach Thursday. Gruden answered questions for about 20 minutes in front of a packed media room at Redskins Park in Ashburn, Va.
Gruden said the coaching staff has not been rounded out yet despite reports of 27-year-old tight ends coach Sean McVay being elevated to offensive coordinator and conflicting reports of Jim Haslett and Raheem Morris heading into 2014 as the team’s defensive coordinator. As far as the players are concerned, Gruden said he has not spoken to Robert Griffin III yet and plans to keep the 3-4 defense in place despite the struggles of adjusting from the 4-3 over the past four years. He also said he enjoys the zone-read blocking scheme and the read option, which the Redskins have run since 2012. Gruden spent the past three seasons as the Cincinnati Bengals’ offensive coordinator. He improved the team’s points per game average from 21.5 (18th in the league) in 2011 to 26.9 (sixth) in 2013 as well as yards per game from 319.9 (20th) in 2011 to 368.2 (10th) in 2013. Gruden’s approach brings energy and an offensive philosophy he hopes will help mold Griffin into a more complete quarterback. His approach is straight from the mind of a former quarterback, having played the position from 1985–1988 at the University of Louisville and significant time in the Arena Football League. Prior to joining the Bengals, Gruden spent 2009 and 2010 with the Florida Tuskers of the United Football League, the former as the offensive coordinator, the latter as the head coach and general manager. From 2002-2008, Gruden worked with the Tampa Bay Buccaneers under brother Jon as an offensive assistant and while current Redskins general manager Bruce Allen worked there under the same title. Gruden lit up the AFL with six ArenaBowl titles as a quarterback and head coach. He spent 1991-1996 as the quarterback of the Tampa Bay Storm and 1998-2001, 2004-2008 as the Orlando Predator’s head coach. The gap from 2002-2003 was filled with him playing quarterback with the Predators. A member of the Arena Football League Hall of Fame, he was named the AFL’s fourth-best player of all time during the league’s 20th Anniversary season. 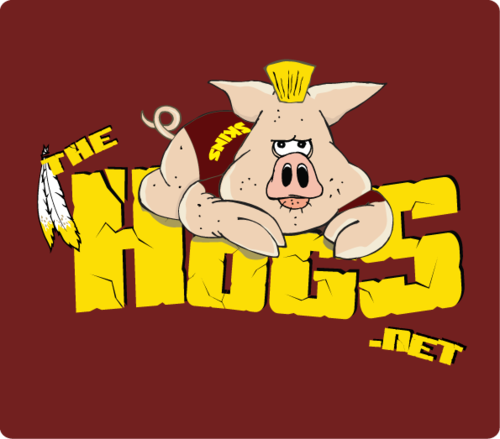 Follow us on Twitter @thehogsdotnet and @_JakeRussell.